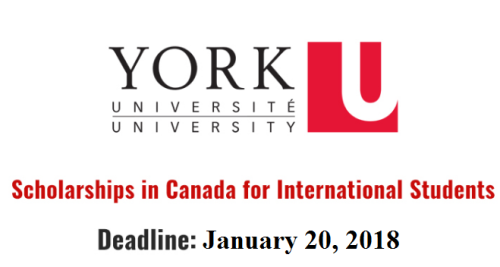 York University is a public research university in Toronto, Ontario, Canada. It is Canada’s third-largest university. York University has approximately 52,300 students, 7,000 faculties and staff, and 295,000 alumni worldwide. It has eleven faculties, including the Faculty of Liberal Arts & Professional Studies, Faculty of Science, Lassonde School of Engineering, Schulich School of Business, Osgoode Hall Law School, Glendon College, Faculty of Education, Faculty of Health, Faculty of Environmental Studies, Faculty of Graduate Studies, the School of the Arts, Media, Performance and Design (formerly the Faculty of Fine Arts), and 28 research centres. Course Level: Scholarship is available to pursue undergraduate degree programmes. Scholarship Award: It is intended to cover costs directly related to the student’s academic success.